Whiskies matured exclusively in first-fill Bourbon casks can be a bit vulgar in my experience, with an abundance of vanilla and intrusive tropical fruit notes. Glad to report this isn't the case here. 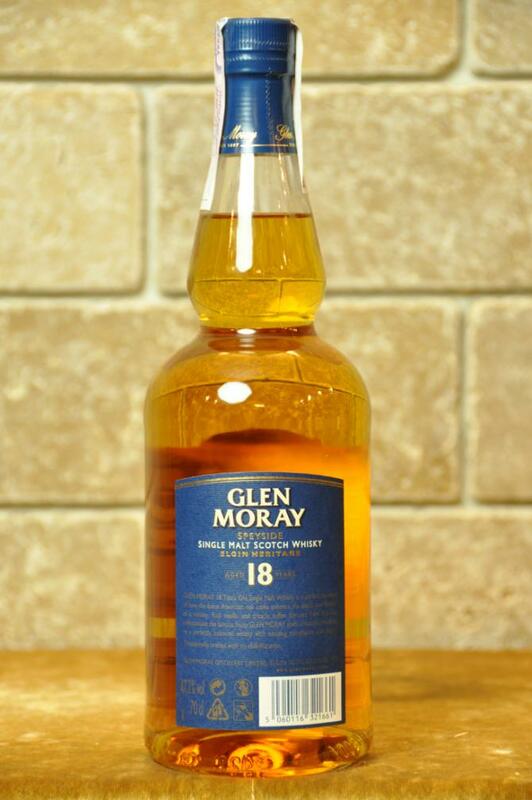 The new(-ish) Glen Moray 18 is fresh and juicy without being over-the-top fruity, well-rounded without being bland, and it comes boasting a nicely measured cask influence that provides mature wood notes without turning overly oaky. 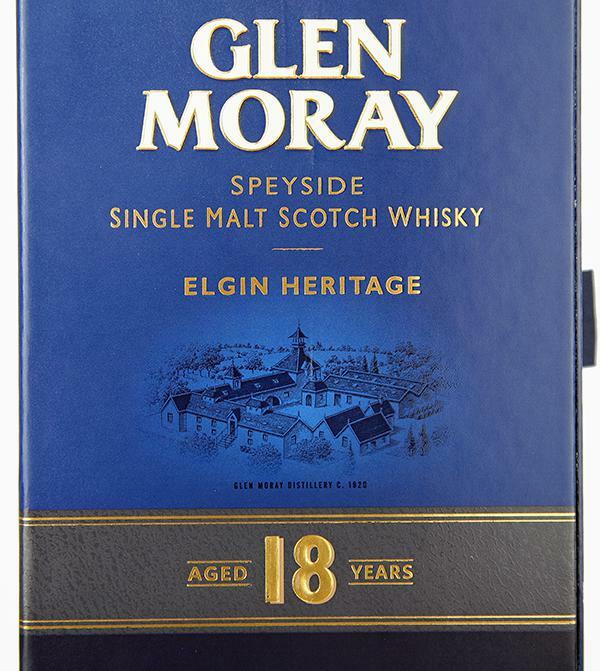 I find that there's always something "dusty" about Glen Moray's distillate (think old books / libraries / time-worn wood-panelled offices), and while this impression is not exactly foregrounded here, it's still discernible, and beautifully merged with the effects of barrel aging. 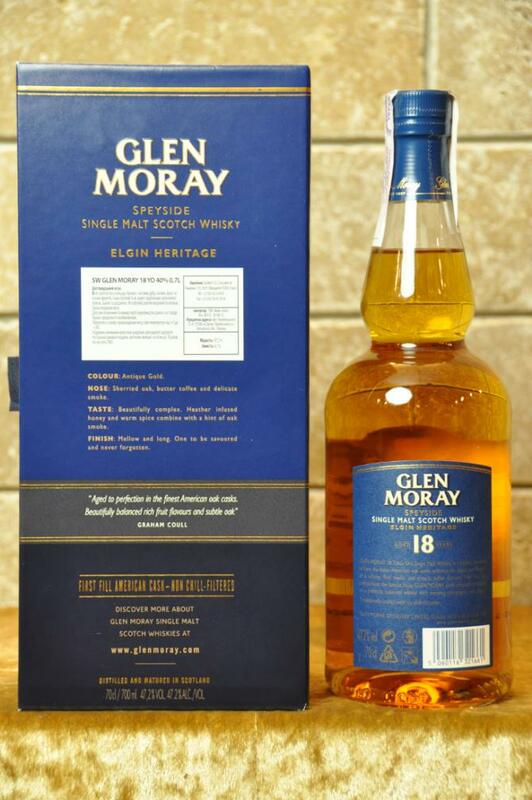 In other words: this is a modern 18-year-old that actually noses like its stated age but still provides some youthful energy, especially on the palate. 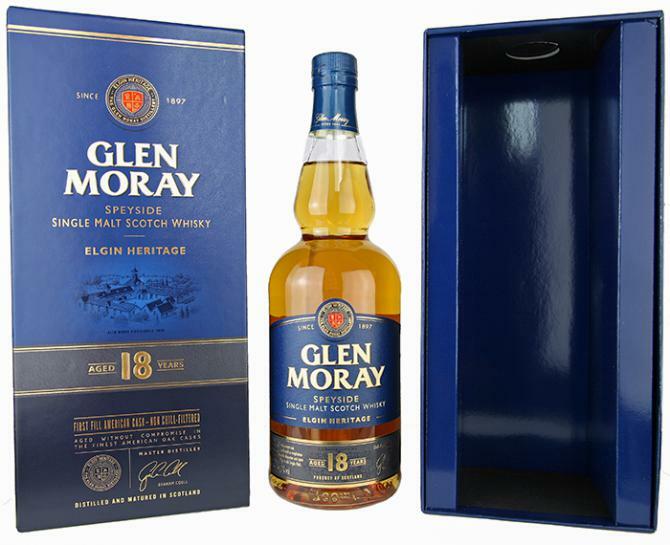 An extremely juicy whisky, with a pronounced acidity that is held in check by the tartness of oak tannins and the aforementioned distillery character. It's 1) fresh and sparkly and 2) settled and mature, all at the same time. The finish, however, could be longer and better defined. It's also too peppery and - surprisingly, given the use of first-fill ex-Bourbon casks - too much on the sour/bitter side for my taste, which takes it down a notch. All in all, more of an apéritif and/or summer whisky. If you're looking for a Bourbon-cask-matured dram that still resonates after a long and many-flavored meal, you're better off opting for a bottle of, say, Glen Scotia 15. However, if you do occasionally enjoy the lighter and brighter side of things, this is a good choice. To be clear, this is not underpowered by any means, due to the increased ABV, but it is somewhat subtle. Value-for-money ratio is questionable, too. F: Thick woody finish with gentle liquorice. I would like to try all 18s. 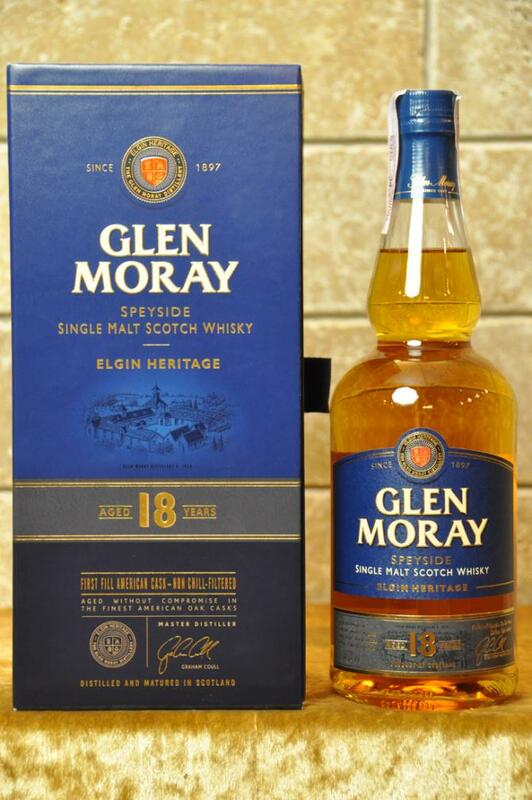 So it was Glen Moray's turn. 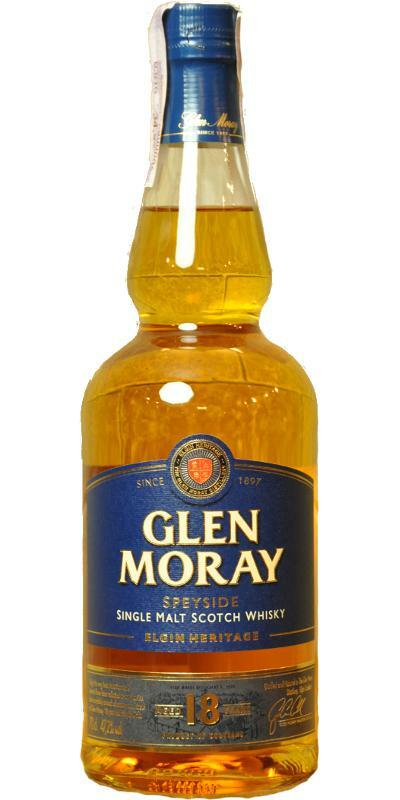 I have to say, a bright and fresh whisky. 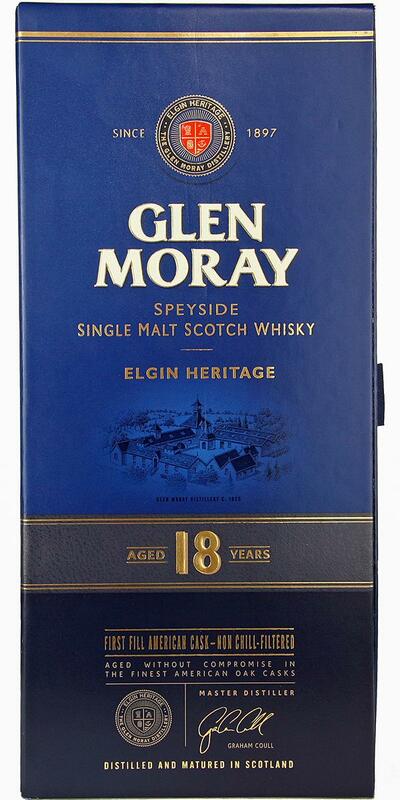 Still, the Glen Scotia15 is the better choice for me. I will not buy a second bottle. The sample is enough for me. But good craftsmanship. He starts with a subtle hint of smoke. The bourbon barrels are not dominant. Well done. And yet there is enough vanilla with peppery oak. The alcohol stays wonderful. Good start. Continue peppery seasoning in the mouth with filling malt flavor. Distillery Character with balanced vanilla, seasoned by the choice of barrel. Very well chosen. Also no bitterness from the oak. The pleasant sweetness slowly turns into drying wood. Too bad. Medium to long and soft with sweet oak. But unfortunately something withdrawn in the experience. He goes without attracting attention. That's it, too bad. Conclusion: If this price remains, unfortunately there will be no reunion. 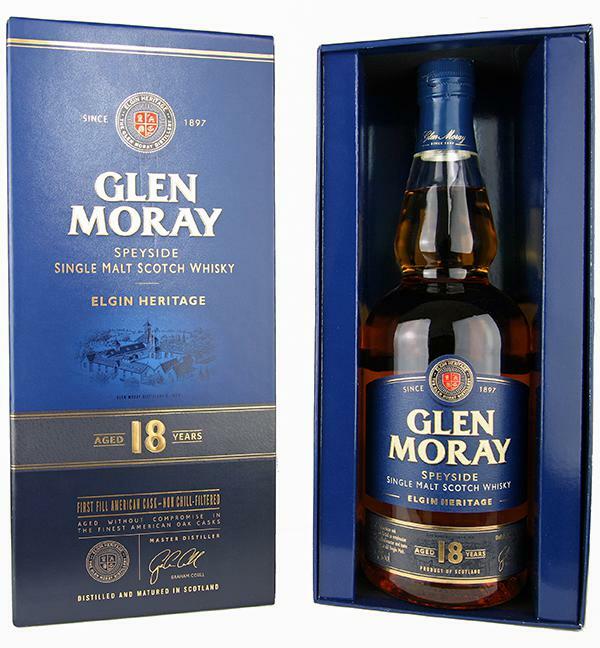 Nose: malty and a lot of toffee, prominent oak with notes of soft curry and pepper, vanilla, grapefruit and a hint of smoke. The alcohol is much better integrated than the younger bottlings from the range. Taste: full and very spicy, lots of pepper and "snappy" oak, but also a strong sweetness - vanilla pudding doused with honey, the finish is medium in length and starts with the sweetness and ends with a dry and woody taste. Interesting nose, explosive and full kick but a bit tame and disappointing finish, a significant increase to the 15er but for the purchase it is probably not enough for me. If that is somewhere in the offer, I could still be weak.